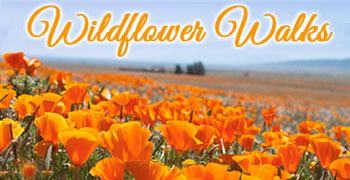 A great opportunity to join naturalist Laura Morgan for a Wildflower Hike on Sonoma Coast. Park in the lot just south of Shell Beach, off Carlevaro Way, at 10 AM. The hike will go up to 3 miles north, to Blind Beach. Participants can hike as far as they feel comfortable. Families with kids are welcome (no charge for kids under 13). Hikers would need to bring fluids and bag lunches. Significant rain would cancel.